1. 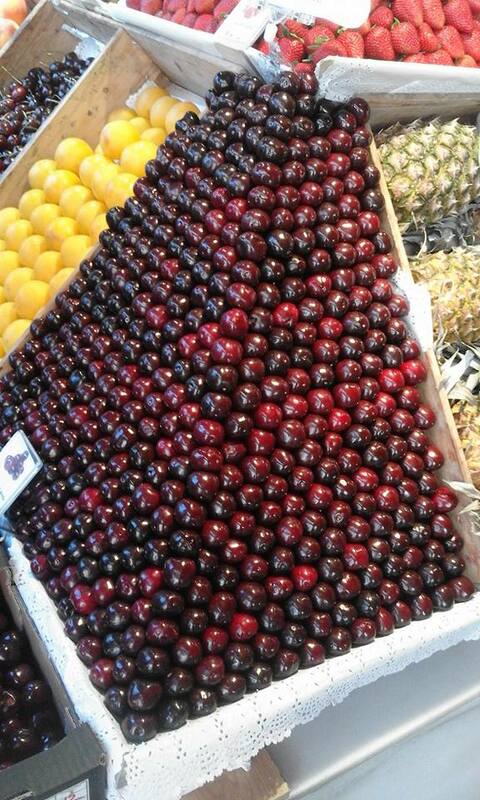 This mesmerizing arrangement of fruit. 2. 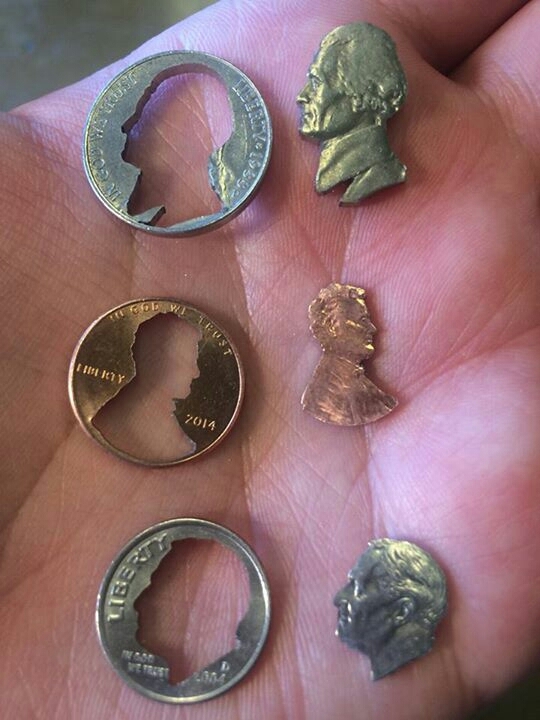 These coins with the heads carved out. 3. This beautifully manicured ski slope. 4. This pyramid made of M&M's. 5. 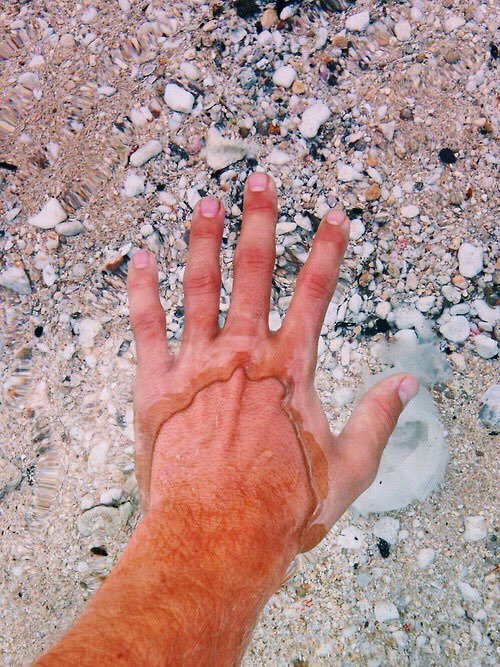 This crystal clear water that almost looks invisible. 6. The way her face is aligned with this book cover. 7. The striping mowed into this beautiful green lawn. 8. 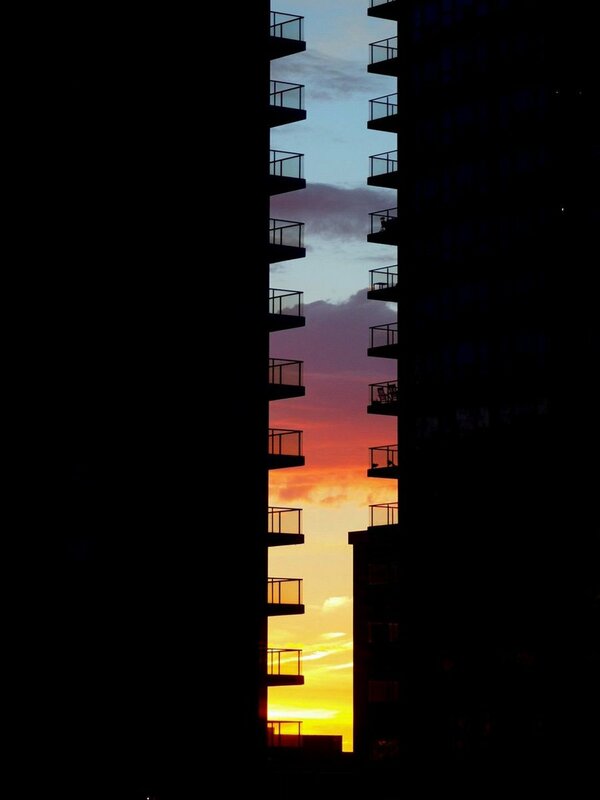 The sunset gradient between these two buildings. 9. This satisfyingly symmetrical flower. 10. This (rare) perfectly sharpened pencil. 11. This array of rocks on the beach. 12. This impossibly flawless sandcastle. 13. These cupcakes that are far too perfect to eat. 14. 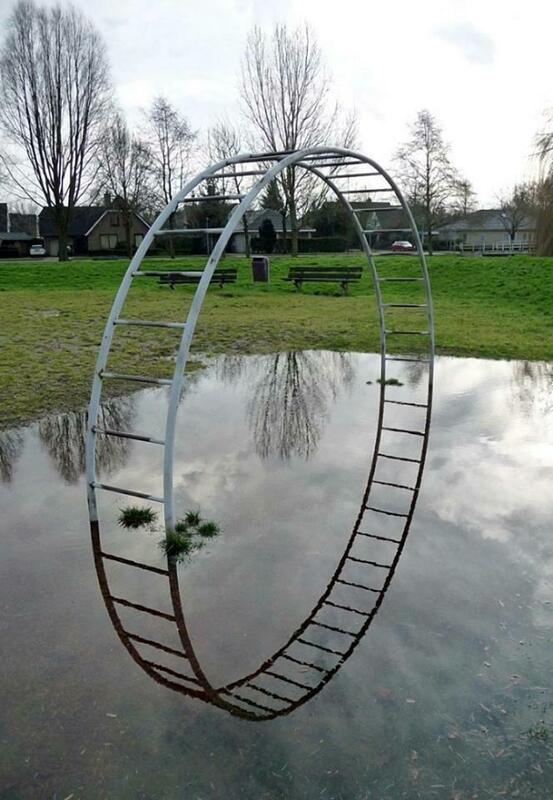 The circular reflection of these monkey bars. 15. 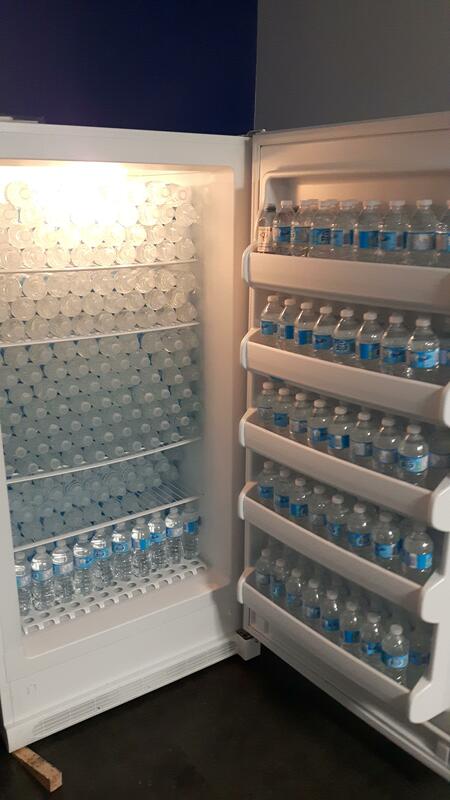 The professional stock job in this refrigerator. 16. 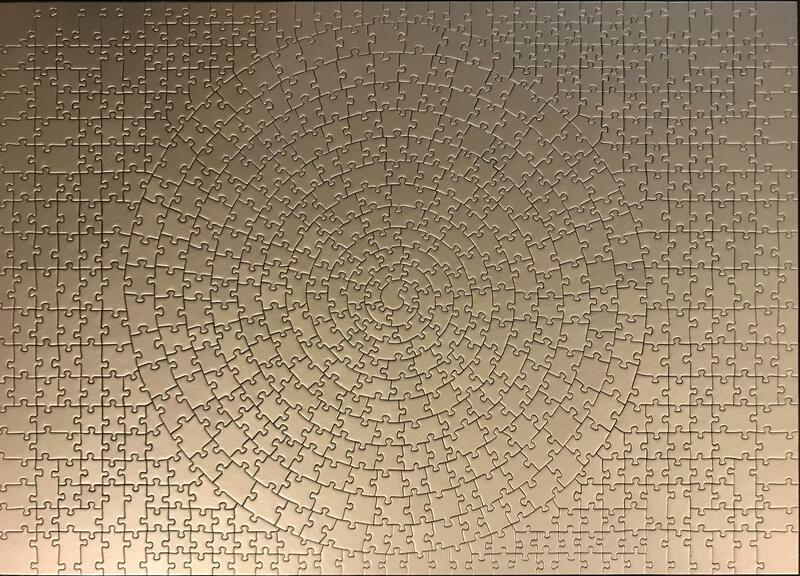 This hypnotizing golden puzzle. 17. 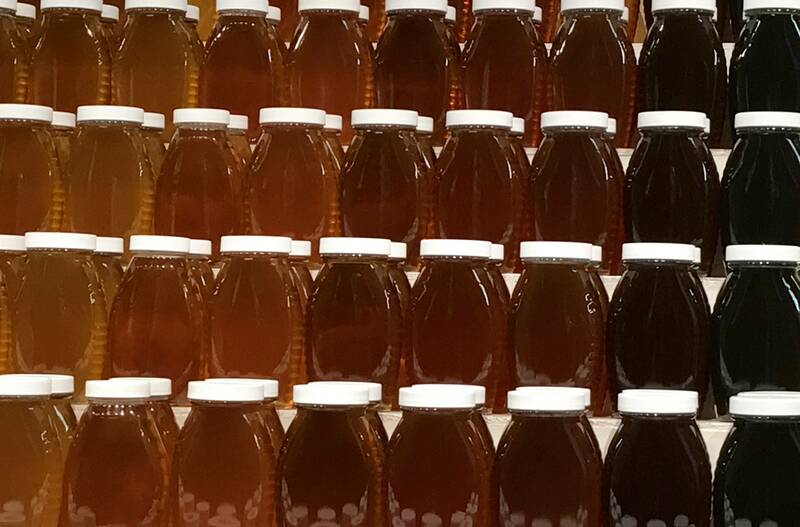 These jars of honey on display. 18. 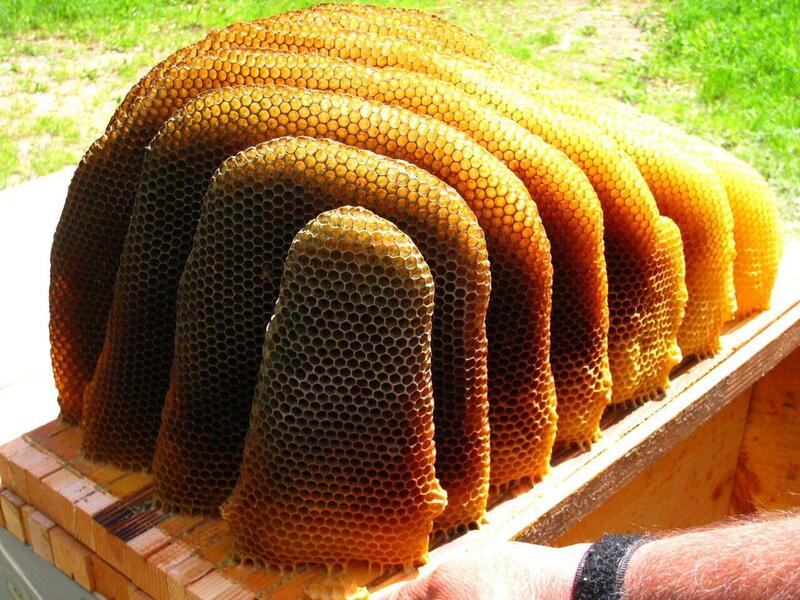 This beautiful, fresh honeycomb. 19. 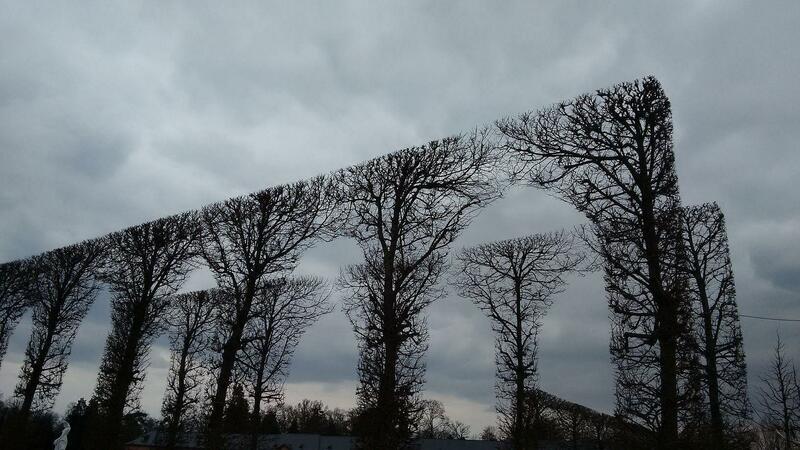 The trimming on these trees. 20. 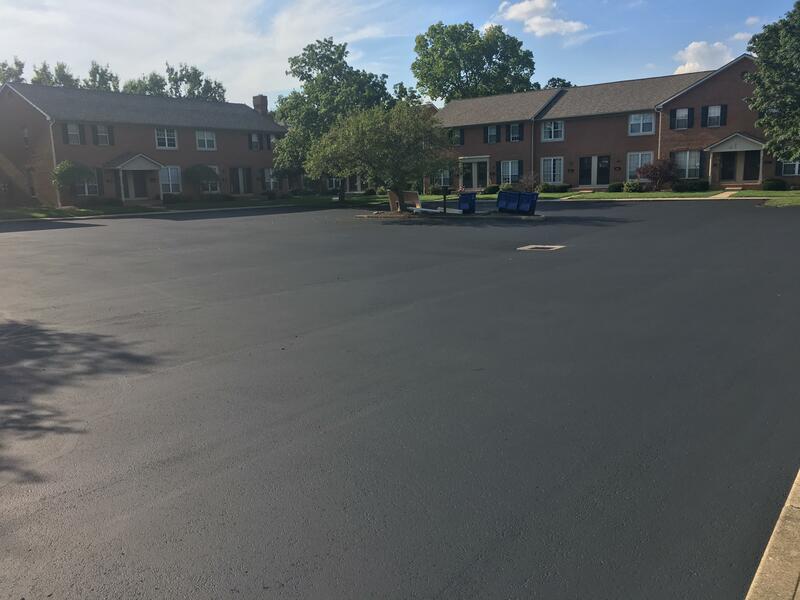 This smoothly paved blacktop. 21. 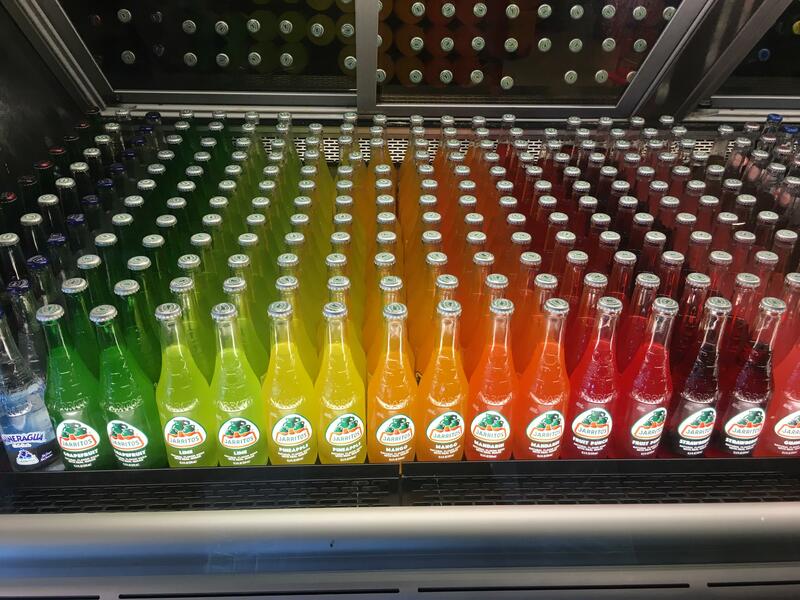 The colorful arrangement of these soda bottles. 22. This bowed yet precise book shelf. 23. 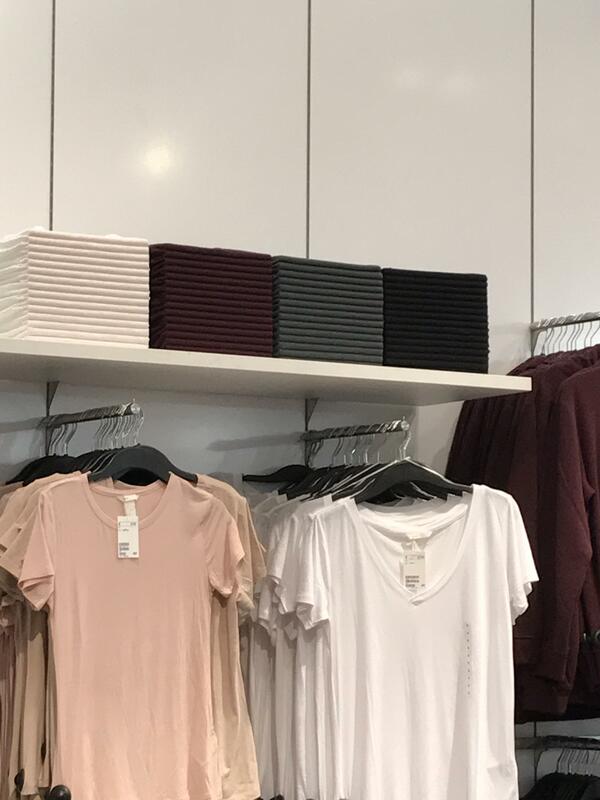 These uniform stacks of folded shirts. 24. 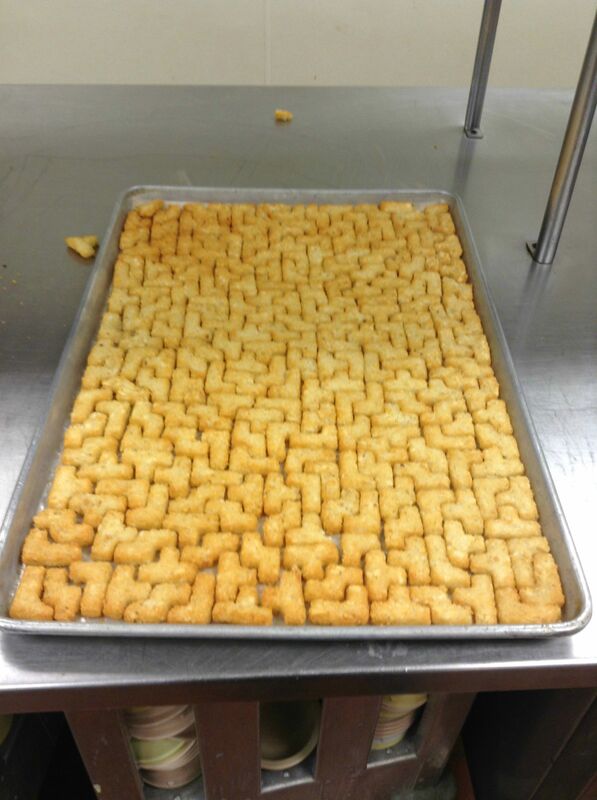 This Tetris-esque tater tot tray. 25. 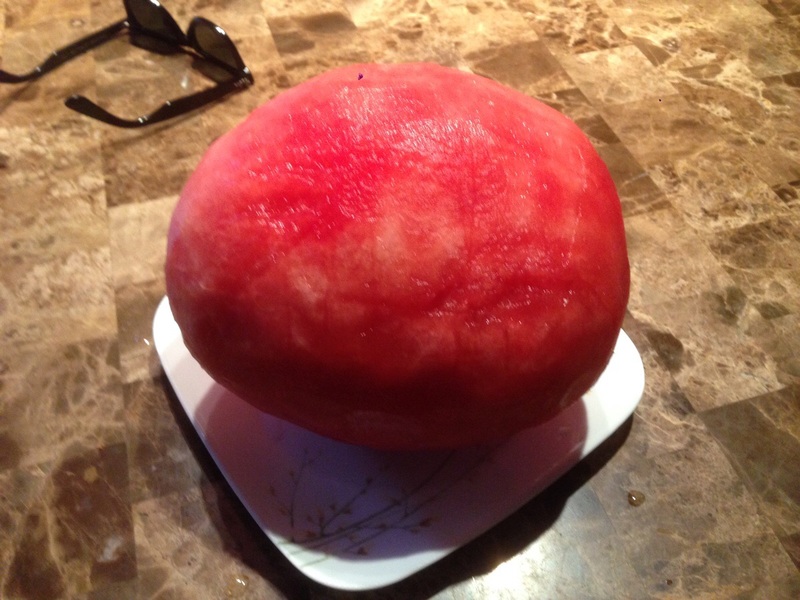 This watermelon that's been... peeled? 26. 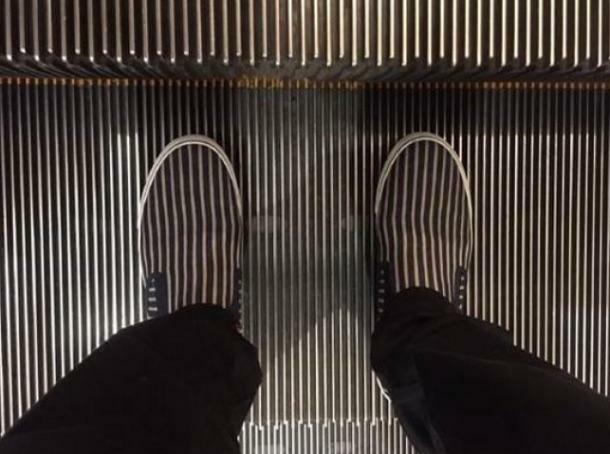 These shoes with escalator camouflage. 27. 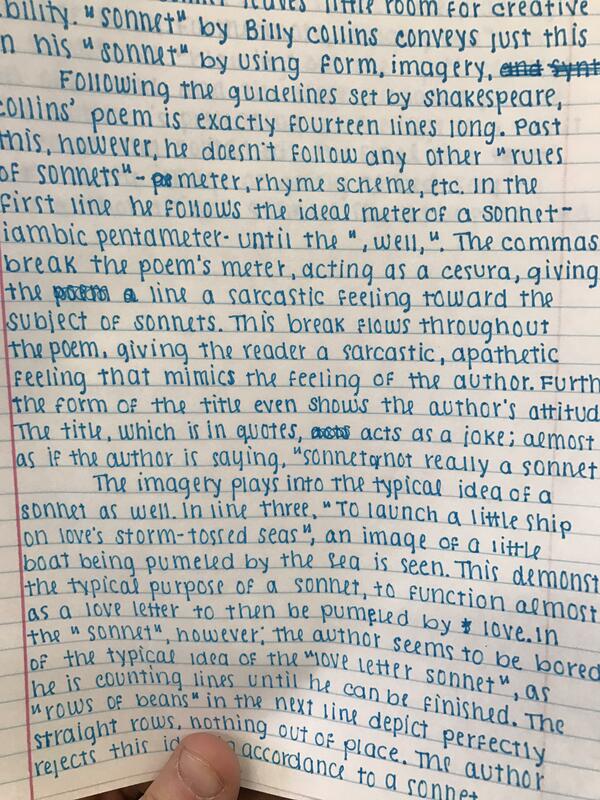 This exquisite page of handwriting. 28. 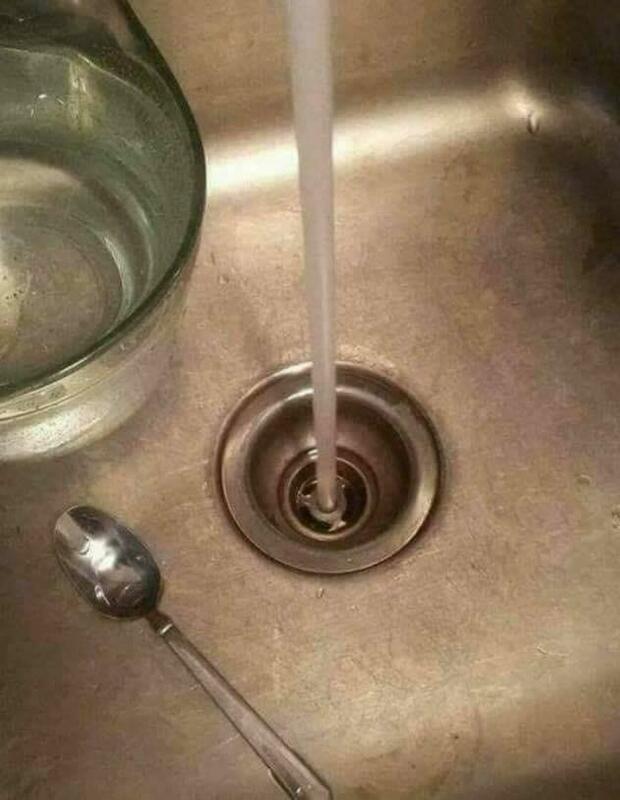 The precision with which the water falls through this hole. 29. All the colors of fall floating in this puddle. 30. 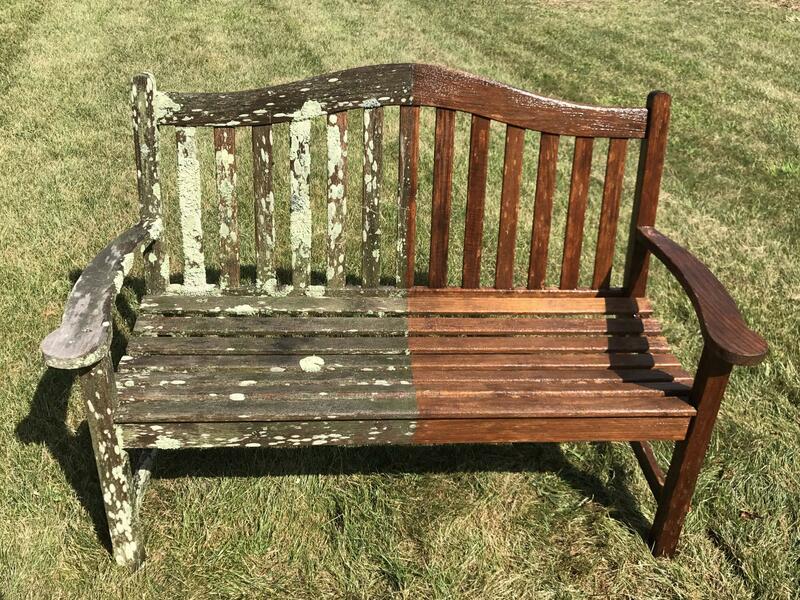 This partially power-washed bench. 31. 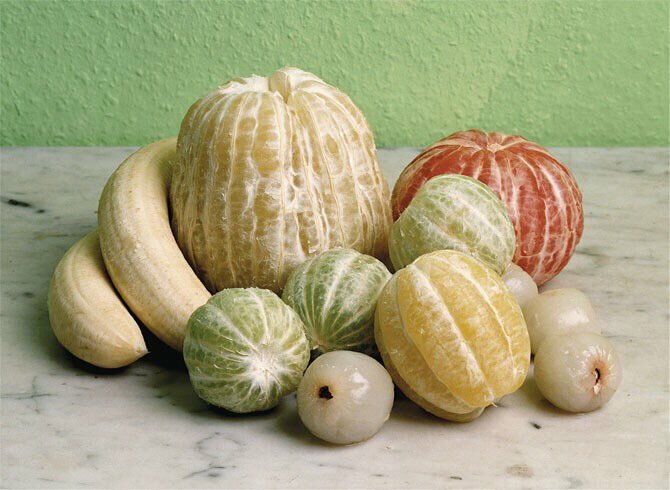 And this assorted pile of peeled fruits.